Have you ever considered how you would evacuate people from a multistorey building in case of power failure? Do you have responsibility for people coming and going from public buildings? If you do, you need to consider how you’re going to handle evacuation in the event of an extended power failure and are not equipped with a standby generator. It doesn’t need to be a dramatic situation just an extended power outage. 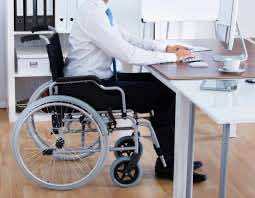 Lifts by default should have the means to travel to the closest floor and open their doors so occupants can leave in the case of power failure. That is fine for able-bodied persons who are capable of continuing evacuation using the staircase. How would you evacuate people with mobility issues? A simple cost-effective solution is to power lift through UPS, however, it may not be as simple as it seems. Suppliers and installers of UPS systems intended to support lifts should be aware that some lifts have regenerative braking, which generates a potentially damaging back–EMF onto the DC Bus within the UPS. With Helios Power Solutions 3-phase Taurus UPS, you obtain the maximum reuse of reinjected energy, with consequent economic savings. 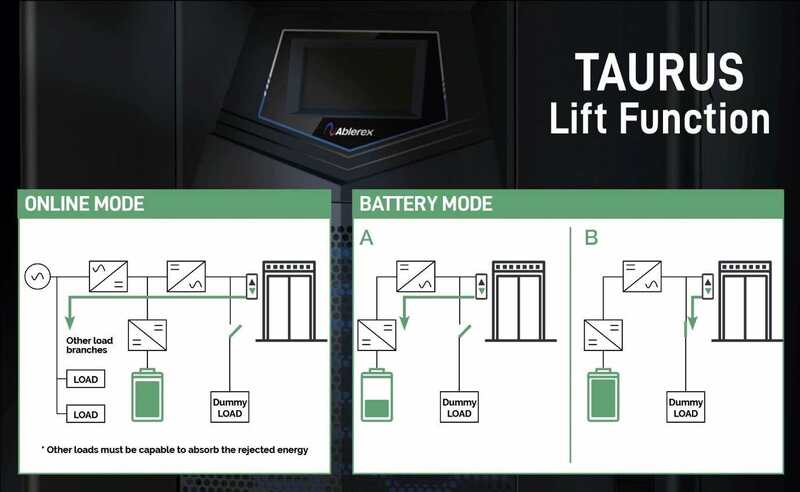 Thanks to its dedicated lift function, Taurus connects the dummy load at the output with only a fully-charged battery and absent mains. The results are brilliant. No need to have an oversized UPS and battery; extremely rare use of the dummy load and extended battery life.